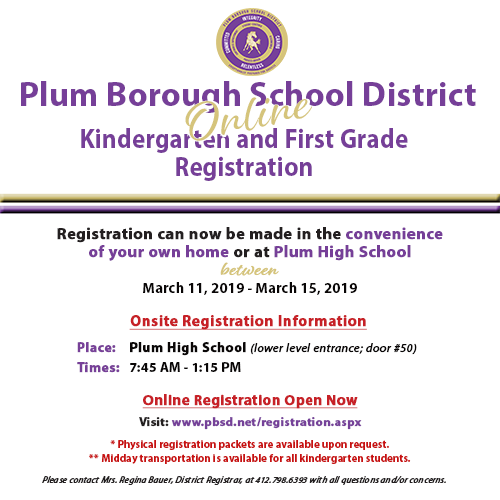 Kindergarten and first grade online registration has begun for the Plum Borough School District for the 2019-2020 academic school year. Wew know this is an exciting milestone in your family’s life. Our school system has an easy-to-use, secure online registration system that will allow you to easily upload all required forms, offering a seamless and stress-free experience. Please view the flyer below.